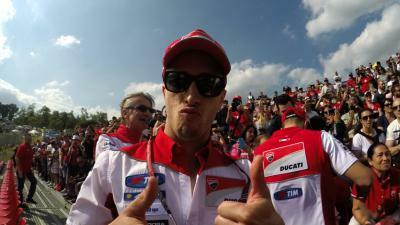 Ducati Team’s Andrea Dovizioso dominated the opening day at Mugello, topping both Free Practice sessions. Ducati were always going to be a force to be reckoned with at Mugello, especially as the Factory team completed a private test at the Tuscany circuit recently, and they sent the partisan crowd home happy after topping the combined timesheets after day one of the Gran Premio d’Italia TIM. 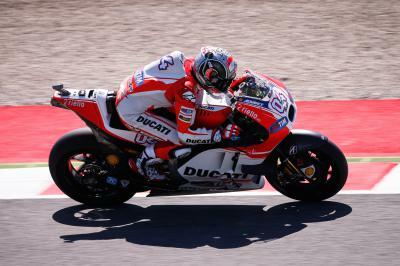 Dovizioso improved his time from the morning session by over four-tenths of a second to set a 1.’47.479. The Italian hitting the ground running straight away in FP1, clearly taking advantage of the data gathered during that test to find a good set-up straight away: “I am very happy with how this weekend has started for us and above all with the time I set at the end of the session. We are quick and this is fundamental in the search for the best set-up. We are still carrying out some tests in order to improve certain aspects of the Desmosedici GP15 that will allow us to be competitive right until the end of the race. 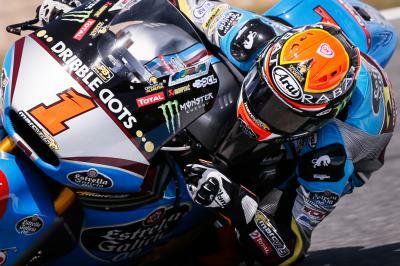 Estrella Galicia 0,0 Marc VDS’s Scott Redding showed signs of improvement as he finished in eighth overall, just behind the injured Aleix Espargaro on the Team Suzuki Ecstar GSX-RR in seventh. 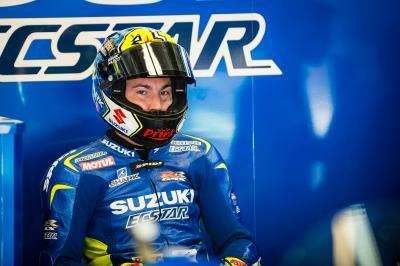 Espargaro underwent surgery on his right thumb to repair a damaged ligament after Le Mans and he was finding it hard to get enough brake pressure through his injured hand, with his team saying they will assess his injury session by session. 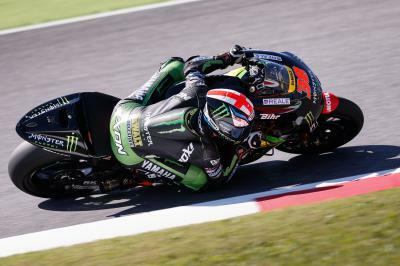 Pol Espargaro completed the top ten on the second Monster Yamaha Tech 3 M1, with Avintia Racing’s Hector Barbera finishing as the top Open class rider in 16th. Check out the combined MotoGP™ Free Practice times from Friday at Mugello; FP3 is scheduled to start at 9:55am local time on Saturday. At the Gran Premio d'Italia TIM we celebrate the passion & commitment of the Italian fans, filmed exclusively on GoPro™ cameras. 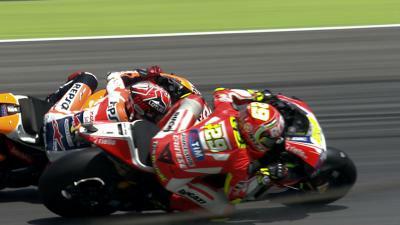 Here's a run down of the very best overtakes that took place at the Gran Premio d'Italia TIM. 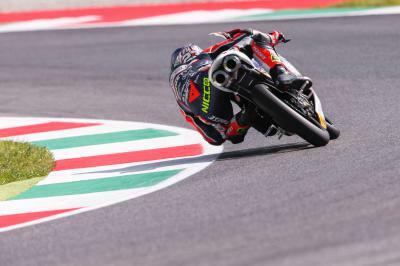 Aleix Espargaro rode through the pain to test a variety of set-ups on his GSX-RR at Mugello, ending the day in seventh overall. 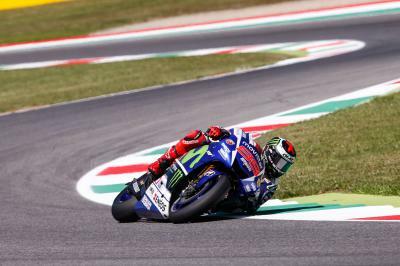 Lorenzo: "Let's see if we can improve the bike"
Lorenzo shows consistent pace to secure third in the combined session times ahead of this weekend‘s Gran Premio d'Italia TIM. 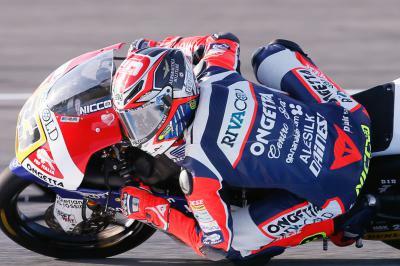 Ongetta-Rivacold’s Niccolo Antonelli set the pace on the first day of practice in Mugello, after Enea Bastianini had topped FP1. Marquez: "Now we need to find our race pace"
The Spaniard finished the day second fastest with a time of 1’47.643 on lap 11 of 16 in FP2. Dovizioso: "We are still carrying out some tests"
Dovizioso leads the way in free practice, now looking to further improve competitiveness of his GP15 over race distance. Smith: "We have been fast from the word go"
The Brit claims 5th on the time sheets as well as the honour of being the top satellite rider.